Located on the Yucatan Peninsula is an ancient Mayan ruins site named Chichen Itza, or mouth of the Itza’s well. Historians believe that Chichen Itza was a place of power, especially during the later period of the Mayan empire. The city sprawls out over the land, features over five different sections, and making it one of biggest Mayan cities in existence. Chichen Itza is referred to as one of the wonders of the world. It is an amazing Mayan city with one of the most famous pyramids of all time. You can’t climb the structure anymore but with such a pyramid looming over you, you are left with a sense of awe. One that is hard to rival. You will also find monuments, ball courts, and many different buildings and structures. Also near the site is two Cenotes, or sacred wells. The Sacred Cenote near the site is one of the most well-known holy wells in Mexico, Cenote Ik Kil. These wells played an important part in the history of Chichen Itza, they were a site of sacrifice and offerings to the gods. Besides being one of the wonders of the world, Chichen Itza is on the list of United Nations UNESCO world heritage list. This alone makes the site a must visit for anyone that loves history and architecture. 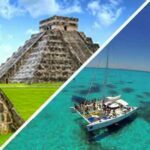 Our tours have the aim of making sure each guest gets the chance to take in all that a Chichen Itza tour from Tulum has to offer. Each guide is certified in tours in either English or Spanish language for the best experience possible. 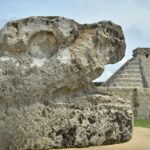 We offer over a variety of different tours of the Chichen Itza ruins from Tulum so that you can get the exact tour that you are looking for. The Yucatan Peninsula is a vast amount of land that offers a handful of Mayan ruins to tour. Chichen Itza is a large city that was a place of power in the Mayan empire and is one of the most popular tourist destinations in the world. It is even considered to be one of the 7 wonders of the world. Architecture at Chichen Itza is breathtaking but the views and also the Cenotes also take one’s breath away. Out of all of the architecture at Chichen Itza one of the most amazing pieces is the pyramid Kukulkan which features in most pictures of the city itself. This pyramid climbs up into the sky and features snakes running down the side. While you can no longer climb the El Castillo (The Castle, another name for the pyramid) even when you could, researchers couldn’t discover everything about the temple. It wasn’t until 2016 that researchers discovered that there was a second pyramid inside the first. This came over 80 years after scientists set out to prove its existence. Architecture in Chichen Itza has been divided into several different groups. Three of them are well-known, The Great North Platform contains the famous El Castillo along with the Temple of Warriors and The Great Ball Court. There is also The Osario Group which contains Osario Pyramid and The Temple of Xtoloc. The last of the famous areas is The Central Group which contains Carcol, Las Monjas, and Akab Dzib. Imagine swimming in perfectly blue water that goes down for over 80 feet, 85 to be exact. Well that is exactly what Ik Kil Cenote is. The Cenote is a Sacred Well and Ik Kil was used to perform religious ceremonies and offerings were made to the gods there. Each Cenote is a place where the underground rivers of Mexico have caused the land above them to cave in. These are very unique places to swim and experience. Not to mention the waters are usually some of the clearest waters you will ever see. Another cenote in the area is the Sacred Cenote which has a green water that many find lovely to swim in. Like with Ik Kil, this Cenote played a role in religious ceremonies but also served as a place to make sacrifices to the gods. Our Chichen Itza tours from Tulum give you the chance to take in as much of the architecture and religious sites as possible. There is a lot to see and do and that is why every tour comes with an amount of free time to make sure you get the chance to explore the parts that you want to see. Some of our tours stop in the nearby colonial city of Valladolid. Valladolid is noted by both historians and the Mexican government to be a significant part of the Mayan and also Mexican heritage. It has a wonderful downtown district with architecture to take in. Many people opt to go there to see the cathedrals and walk around. There is also a popular cenote at Valladolid known as the Zaci Cenote. The city tends to get very popular during the summer as tours from popular sites such as Chichen Itza and Ek’Balam stop to spend some time exploring the city. An option with our private tours is to tour the Cacoa Museum where you will learn about Mexico’s long tradition of producing amazing Cacoa. The experience is awesome and also, a very tasty stop! 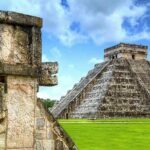 Those who like chocolate will find this stop a must on their private Chichen Itza tours, do not forget to specify that you want this site included if you are going on a private tour. 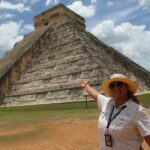 In order to give our Chichen Itza tour clients, the best experience we have created a selection of tours so that you can get the experience that you want. 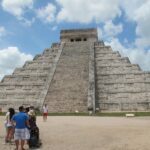 If you are just looking for a Chichen Itza tour from Tulum, here are a few different options for you. 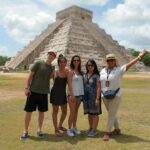 Chichen Itza Ruins Express Tour From Tulum which is our most basic tour that takes you to Chichen Itza and back in the shortest amount of time. 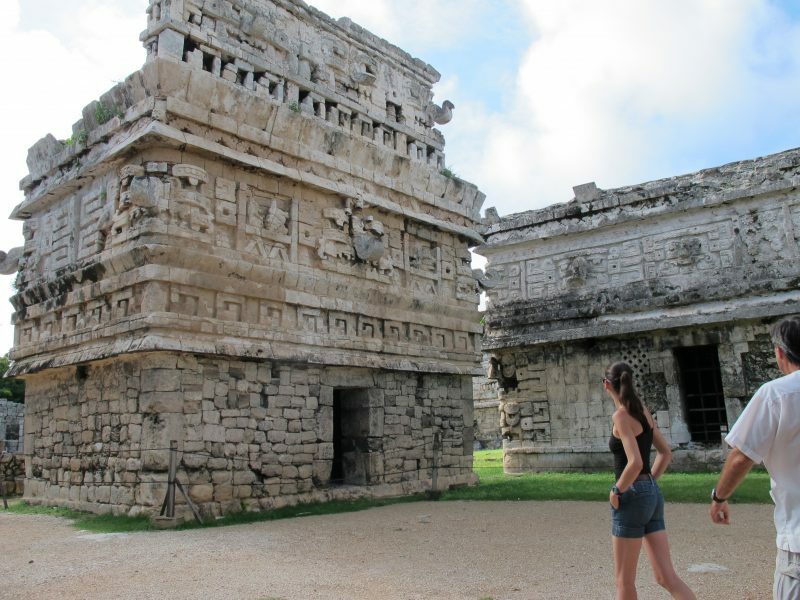 You spend time exploring the Mayan ruins and touring. Our next tour is the Chichen Itza ruins tour by bus. This trip takes you to the site and includes access to both the ruins and the Cenote Ik Kil. There is also an included buffet and trip to Valladolid. This is our value tour that will give you the most for your money. A deluxe bus tour to the Chichen Itza ruins is also available. During our deluxe tour you will start out with a continental breakfast to get you ready for the day (breakfast is the most important meal of the day). Onboard the bus is both soda and beer to help you enjoy the ride. You can also choose to upgrade your drink options to include wine and tequila if wanted for a minimal additional price. Then when you arrive you have access to both Chichen Itza and the Cenote Ik Kil. A nice lunch is served at a local Mexican restaurant. 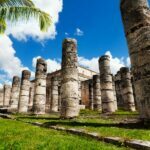 If you want the most unique tour available, our private tour to Chichen Itza is the most flexible to your needs and customizable to your schedule and destinations wanted to see. From swimming in a more secluded cenote to eating a premium lunch, to exploring special cultural spots of interest near Valladolid you can have a great experience and add on some additional experiences. You also get however much time feels right for your goup at all stops including Chichen Itza and also lunch. Should you want to customize the tour besides the two one-hour addons we have, send us an email or call us. We can see what we can do to work with you to create the perfect tour for you group! Exploring the Chichen Itza ruins and surrounding areas is a unique experience but there are a few things that we suggest you bring to every trip. Sunscreen is a must to keep your skin from burning but also bring money, comfortable footwear, a camera, snacks and a towel. If you are going to a swimming location, also bring a swimsuit. Water is expensive at many of the ruins sites throughout Mexico so we recommend that our customers bring enough water to get them through the day. This will help to keep your costs down. A couple of large water bottles or a hydration pack should do it for you. Green grass, blue water, magnificent ruins, good food, what else could make your Yucatan Peninsula trip more amazing? Not much. With every tour we hope to inspire you with the history of a proud people while giving you sights that you won’t soon forget. Book your tours soon, as they fill up quickly.